Africa Section invites participation to its Satellite Meeting hosted by the Ohio University, Athens, OHIO. Building cross- cultural capabilities to build strong libraries for strong societies. (to hold ten rooms only) at a rate of $99.50 a night from August 9-12, 2016. 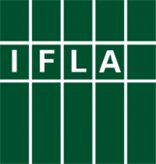 There are hotels IFLA has identified and listed for prospective conference members to use. Please check on the Congress 2016 Website. It is possible to commute from Columbus to Athens for the Satellite Meeting. Click here for information about transportation to Athens.